Mounties had to briefly shut down a lane of the Trans-Canada Highway to let the country’s official animal, a beaver, cross the road. 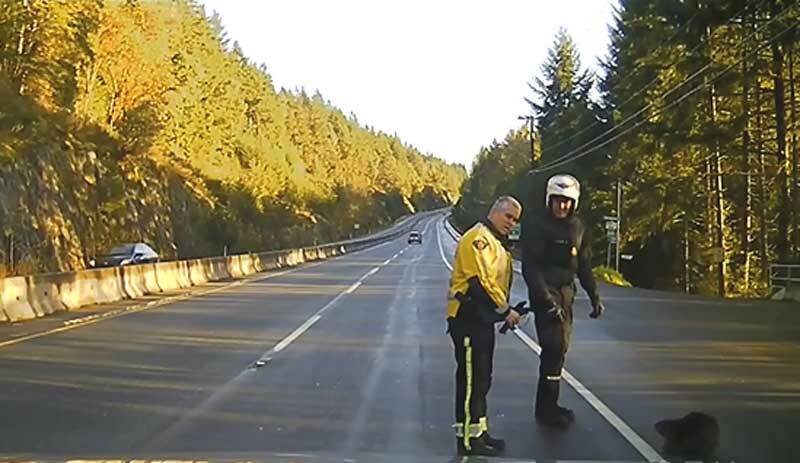 “It was a beaver in the right hand of two lanes.” Dashcam footage shows the Mountie pull up to the motorcyclist as he tries in vain to usher the stubborn animal off the highway. The RCMP cruiser than backed up and drove toward the beaver several times in an apparent effort to scare it off the road. 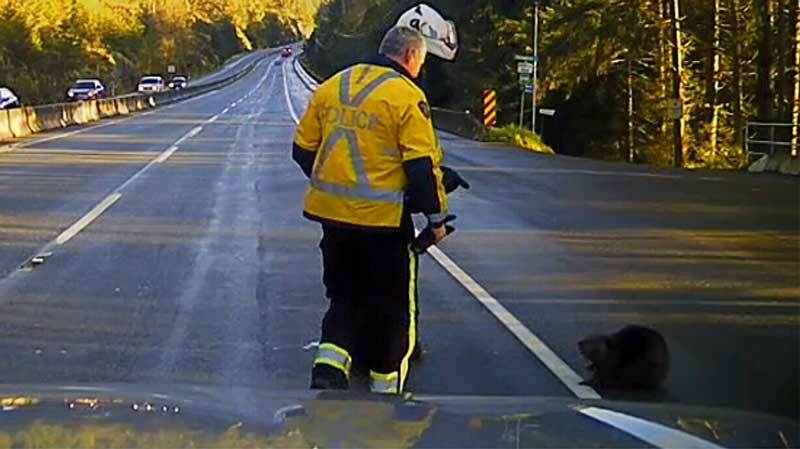 “We found it quite amusing, it was pretty iconic that there was this RCMP officer trying to get a beaver out of the road,” said Dunstan. 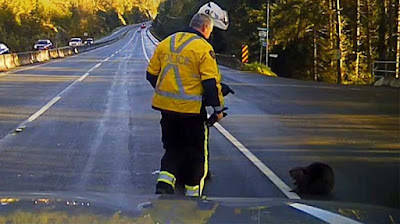 “As it turned out after a couple of minutes of hissing, by the beaver not by the RCMP officer, it didn’t want to listen to the sirens, it wasn’t particularly fazed by anything going on around it, it was quite obstinate and quite happily sat there in the middle of this lane way.” At that point, the critter turned tail and waddled away into undergrowth on the side of the road, at which point police reopened the highway lane. “It certainly lightened up the morning,” Dunstan said. How can animals cross the road with that barrier in the centre ? C'mon Canada, build greenway crossings for the animals, they have a right to share the earth too !